While you may be cold in London in January, you also might catch the tail-end of the city's charming holiday decorations. January in London is among the best times to visit this notoriously pricey city if you're on a budget. The January sales will satisfy the most dedicated shopper, while hotels also offer discounts on room rates during this quiet month. As long as you dress warmly, January is also an ideal time to visit popular attractions without becoming overwhelmed by crowds. While London is always a bit damp, January is especially cold and wet, but still generally warmer than many other northern European countries, and the occasional surprisingly warm day. Temperatures in London typically only drop near freezing in the evenings, and the city typically experiences 11 days of rainfall in January and receives only eight hours of daylight throughout the month. 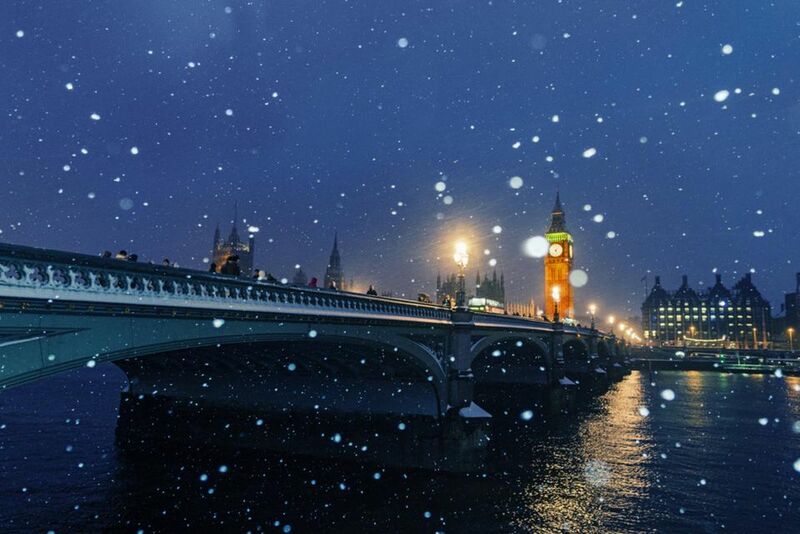 Snow isn't widespread in London, but it does occur occasionally. Wrap up warm in plenty of layers. January and early February are the coldest times in London—and you'll always want to bring an umbrella when exploring London. On the coldest days, a heavy winter coat is necessary. Sturdy, waterproof walking shoes are still a must-pack for London. London doesn't suffer from a post-holiday drop-off, as January offers plenty of fun-filled events for visitors to enjoy. New Year's Day Parade (January 1): See marching bands, cheerleaders, dancers, and acrobats take to the streets as part of London's famous New Year's Day Parade. London Boat Show (early January): More than 500 exhibitors showcase the best boating innovations and equipment at this massive celebration of all things nautical at ExCel London. Twelfth Night Festival (early January): This free event marks the end of Christmas and welcomes in the New Year with a program of events based on ancient seasonal customs. Get Into London Theatre (January and February): Grab discounted tickets to 50+ London theater shows as part of this annual promotion. London Art Fair (mid-January): Billed as the U.K.’s premier modern British and contemporary art fair, this event at Islington's Design Centre brings together over 100 galleries and features talks, tours, and large-scale installations. Chinese New Year Parade and Festival (late January to mid-February): Celebrate the most significant event in the Chinese calendar by following the lively parade along Charing Cross Road and Shaftesbury Avenue. The celebrations culminate in Trafalgar Square, and you can enjoy plenty of free entertainment and delicious food in Chinatown. London International Mime Festival (throughout January): The longest running festival of its kind, this celebration of the silent art form takes place in various performance venues across London including the Barbican and Soho Theatre. Commemoration of Charles the Martyr (January 30): This annual commemoration of King Charles I's' 1649 execution takes place in the Banqueting Hall on Whitehall and includes a wreath laying and prayers. A choir usually accompanies the service. January Sales (from December 26): Snap up a bargain in the "January sales," which technically start on Boxing Day. Harrods, John Lewis, Selfridges, and Liberty are always reliable options for post-Christmas bargains. Apply for tickets for Trooping The Colour in June (January and February): The celebration of the Queen's birthday in June requires early planning, and gives you a reason to make a return trip. When you're packing for your January trip to London, pack as if you're visiting a typical winter destination. That includes a hefty scarf, gloves, coat, and hat. London has no shortage of free attractions—in fact, many of the best things in the city are free or low-cost. Winter is a great time to take advantage of normally crowded attractions like the British Museum. If you're planning a trip to London for later in the year, booking your trip in January can still pay off big: International trips booked in January are often up to 36 percent cheaper than trips booked during other months, according to Skyscanner. If you visit in early January, festive Christmas decorations will still be on display. Walk down Carnaby Street, Regent Street, and Oxford Street to see the best decor.